No matter how anyone spins it, the fact remains that the Winnipeg Jets will not qualify for the Stanley Cup playoffs again. The Jets haven’t made the playoffs since relocating from Atlanta in 2011, and the franchise hasn’t participated in playoff hockey since 2007. There is no doubt that the Jets need to make some changes in order to improve the team. General manager Kevin Cheveldayoff will have a busy offseason, to ensure this team gets better. Here are five things the Jets need to do to improve their fortunes. There is no escaping the fact that Ondrej Pavelec isn’t good enough to be a number one goalie in the NHL. His numbers are trending downward, going from a .914 save percentage in 2010-11, to a .906 in 2011-12, to a .905 in 2012-13, to a .901 save percentage in 2013-14. The alarming note is that Pavelec still has three years left on his current contract that will pay him $3.9 million per season. Even fans and media who were very supportive of Pavelec in the first couple of seasons have started to turn on the embattled goalie. A mixed reaction greeted Pavelec as he was introduced as the starting goalie in a recent home game against the Pittsburgh Penguins. Let us not forget that when Pavelec signed the contract back in 2012, he was convicted of drunk driving in his native Czech Republic, a fact he hid from the organization before signing the deal. 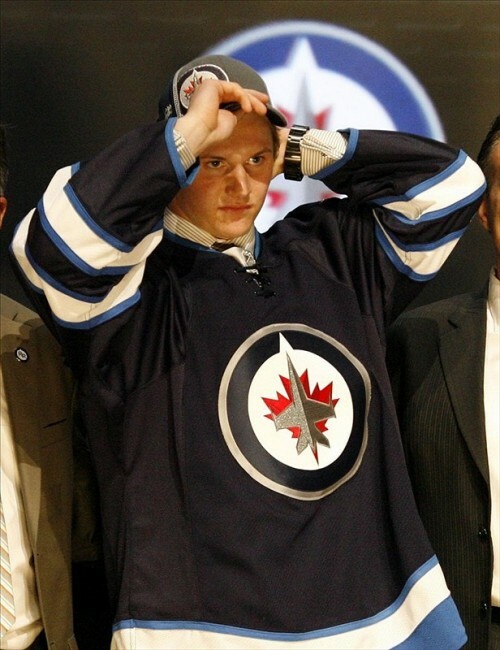 With the recent signing of the highly touted Connor Hellebuyck to an entry level deal, in addition to prospects such as Michael Hutchinson and Eric Comrie in the system, it is time for the Jets to cut their losses, and let Pavelec toil in mediocrity elsewhere. Admittedly, this is easier said than done. Making a good trade is like the tango, you need a dance partner. However, Cheveldayoff is far too often sitting on the sidelines on prom night, while another GM finds another pretty girl to dance with. Chevy needs to stop being the shy guy and become more assertive on the trade front. Standing pat will not suffice this offseason. There are improvements that are desperately needed. If the Pavelec buy out happens, a veteran goalie would be necessary. Depth on the blue line is still a concern, especially on the left side. The bottom six forward group is a mess that must be fixed. Yes, it would mean trading a core asset. However, no risk means no reward. This won’t be an easy decision, but it is a necessary decision. 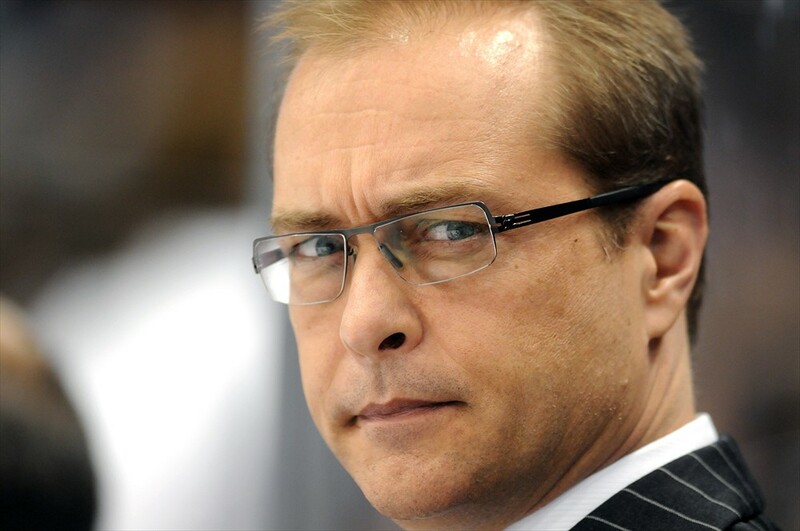 Is Paul Maurice the best coach in the NHL? Probably not, but he is the right coach for this team at this moment. Since taking over from Claude Noel on January 12, the Jets have gone 16-11-5 with Maurice behind the bench. While the Jets still struggle in certain areas of the game, there seems to be an air of professionalism that Maurice brings which Noel lacked. In every interview, Maurice sounds like a man who knows what the team does well, and what areas that need work. Maurice is establishing himself as the boss of the Jets bench, sitting the likes of Devin Setoguchi and Evander Kane when called upon. A good communicator, Maurice needs a full training camp to put his system into place, so that the players can absorb all the details and execute it to the best of their abilities. With the emergence of Mark Scheifele and Jacob Trouba this season, the future was quickly becoming the present for the Winnipeg Jets. There is plenty of talk about how Cheveldayoff has built the farm system with solid draft picks. There is truth to this as the St. John’s IceCaps are enjoying an excellent season, sitting in second place in the AHL’s Atlantic Division. Young players such as Adam Lowry, J.C. Lipon and Brenden Kitchon are developing nicely in the farm and could be NHL ready next season. Meanwhile, players such as Eric O’Dell and Zach Redmond have been called up to the big club and performed admirably. Let’s not forget the prospects lighting up junior hockey. Nicolas Petan of the Portland Winterhawks finished second in the WHL in scoring, recording 35 goals and 78 assists in 63 games. Josh Morrissey of the Prince Albert Raiders recorded career highs in goals (28) and assists (45) from the blue line. Scott Kosmachuk of the Guelph Storm finished third in the OHL in scoring, tallying 49 goals and 52 assists in 68 games. Granted, not all of the kids are NHL ready, but some of them deserve a long look come training camp time. The future isn’t that far away. One of the best moves Chevy pulled off last season was the acquisition of Michael Frolik from the Chicago Blackhawks. The Czech Republic native was put on a line with Andrew Ladd and Bryan Little midway through the season by Maurice. The trio found chemistry fairly quickly, as Frolik’s strong defensive play was a nice complement to the offensive leanings of Little and Ladd. 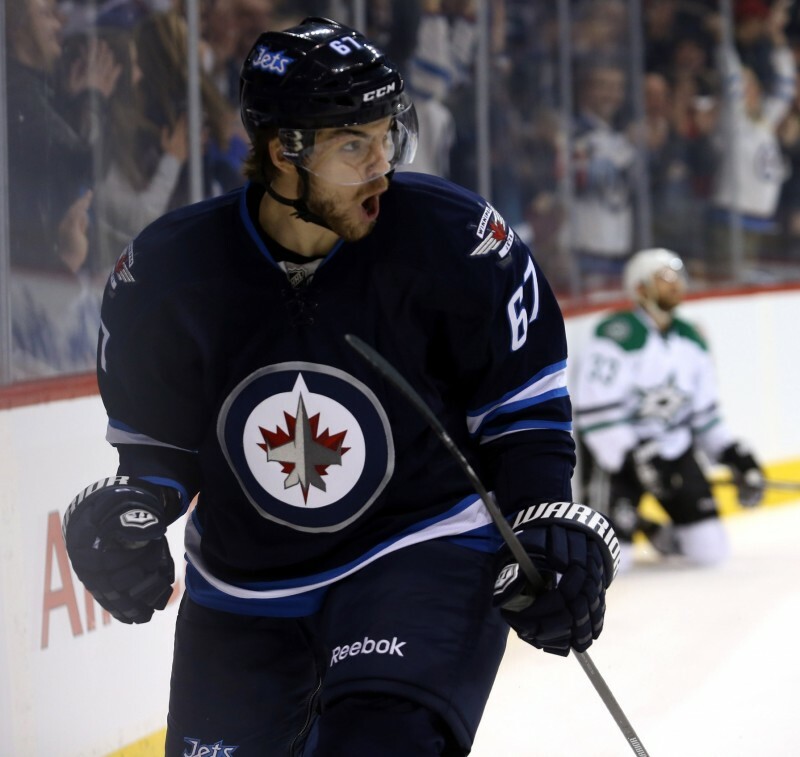 Frolik was instrumental in improving the Jets penalty killing unit as well. The Jets were 24th in penalty killing last season, with a 79.7% efficiency rate. With Frolik added to the number on PK unit, the Jets rose to 11th in the PK with an 83.2% success rate. Frolik has put up decent offensive numbers (14G, 27A, in 78 games) but those numbers could go up with a full season with Little and Ladd. Frolik is set to become a restricted free agent on July 1, looking for a raise from his current $2.3 million salary he is earning. He deserves the extra money and respect from the Jets for his solid two-way play. The Jets need to take proper care of him.